Prove you have world's best Super Dad this Father's Day! Celebrate your Super Dad like the hero he is this Father's Day. Take & share a photo of your Father in a Heroic moment. 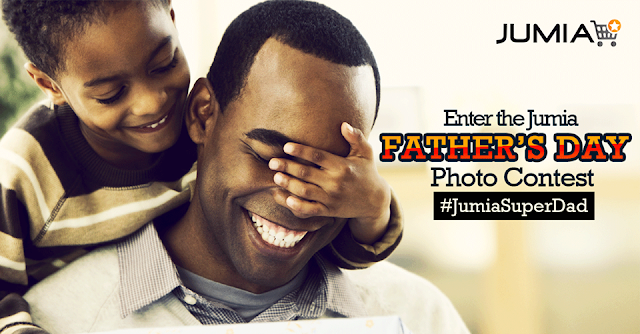 Enter the #JumiaSuperDad photo contest now for chance to win him amazing prizes. Remember to vote & share with friends. Open to Nigerian Residents Only. Click Here http://woobox.com/rmfy9i. to Upload Photo.